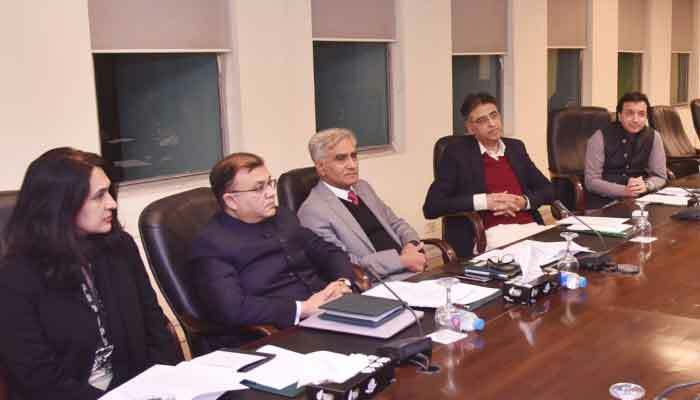 ISLAMABAD: Finance Minister Asad Umar chaired a meeting of senior officials of Finance, Economic Affairs and Petroleum Divisions here on Thursday. The existing facilities from the International Islamic Trade Finance Corporation (IDB) were also discussed. It was agreed that full utilization of the $ 4.5 billion facility over three years period, starting July 2018 must be ensured.